a break mode where you take a break. You can customize the length of the work and break interval and specify how many times you want the interval pairs to repeat on the right. 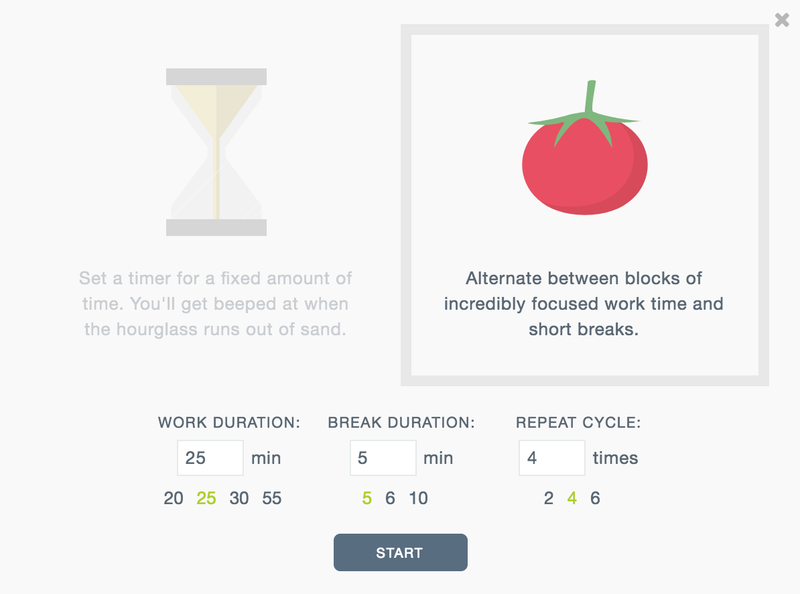 Once the entire session is over you can take a longer break and create another pomodoro cycle once you are ready to work again. 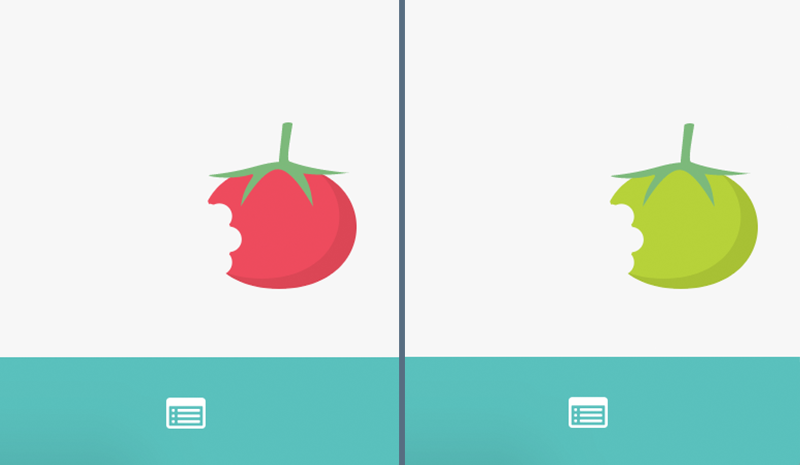 During the work mode you will see a red tomato at the bottom right of your screen that slowly gets eaten. At the top you ca se how much time remains in the session. 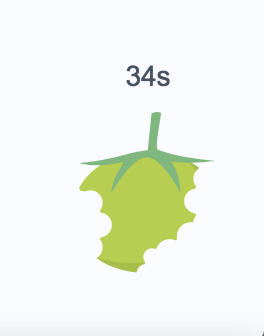 Once the time is up you will hear a sound and the tomato will switch to a green tomato indicating that it's break time. Browser notifications appear when each mode finishes. You can pick the sound you want when the timer is up in your settings.